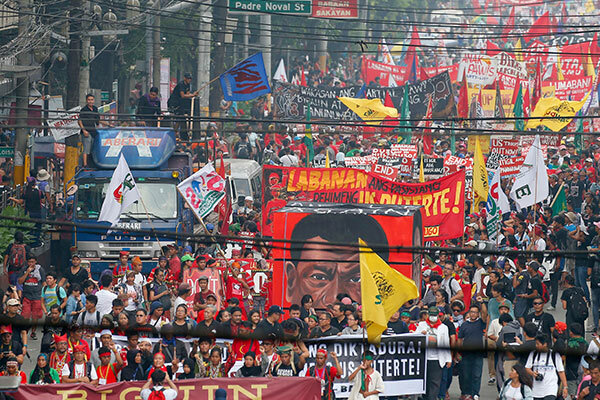 Political turmoil and state violence has created difficult challenges for grassroots movements in Duterte’s Philippines. York Centre for Asian Research (YCAR) Graduate Associates, Kenneth Cardenas, C.J. Chanco and Chaya Ocampo Go (Geography), created the Kutitap Video Podcast series to document firsthand accounts from frontline workers on the ground in the Philippines. “The videos intend to inspire transnational solidarities and dialogue between the Filipino diaspora and grassroots movements in the Philippines,” said Cardenas. The five-part series tackles urgent issues including the Philippine President’s brutal “war on drugs”, rising authoritarian rule, police brutality, the declaration of Martial Law and environmental disasters. The videos will focus on the perspective of activists, civil society organizations, indigenous groups and artists to draw attention to what it takes to deal with these disasters on the ground and how transnational networks can help. The first video of the series featured Suyin Jamoralin, the Executive Director of the Citizen Disaster Response Centre (CDRC) about community-based approaches to disasters. In the video, Jamoralin talks about the CDRC’s work in response to Martial Law, the ongoing battle between the Philippine Army and a local terrorist group in Marawi and the aftermath of recent typhoons. Cardenas, Chanco and Go put together the Kutitap series as part of their work with the Alitaptap Collective, a group of Filipino graduate scholars working with the Alternative Transnational Economies Project based at YCAR. The Collective was formed with the specific aim of mobilizing critical public scholarship on the Philippines through non-academic platforms such as investigative journalism, collaborations with grassroots initiatives and transnational solidarity work. The second video of the series will feature Respond and Break the Silence Against the Killings (RESBAK), an artist alliance based in the Philippines working to draw attention to extrajudicial killings. It is set to be launched in October 2017. The Kutitap series is supported by the York Centre for Asian Research and faculty advisor, Philip Kelly (Geography), and is edited by Alex Felipe.